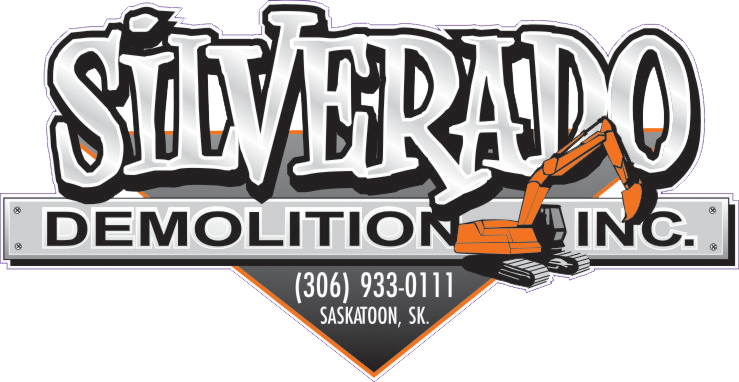 We are pleased and proud that Silverado Demolition Operations Inc. has been in the demolition/excavation/construction industry since 1978. 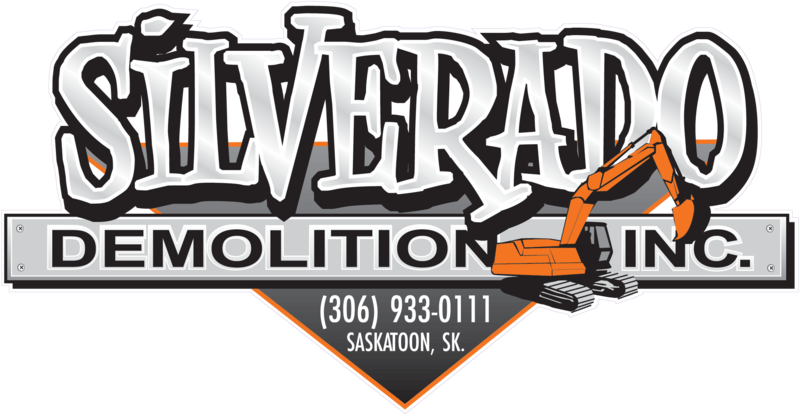 We are fully bonded and an insured business provider of demolition services in Saskatchewan and Western Canada. We are one of few demolition contractors that are endorsed with demolition insurance and are conscious of recycling and being environmentally responsible on all projects. 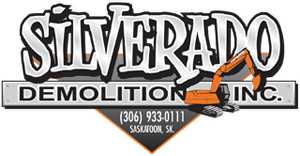 Silverado Demolition is COR certified and we have an impeccable safety record and have a very good standing with OH&S and WCB. Businesses that are able to offer their clients a great user-experience on their websites are the ones who get the most profit. Their websites look beautiful and provide effortless navigation which makes more people do business with them. Is your website keeping up with the demands of modern-day sales and marketing? I’m a freelance web designer/developer for almost eight years now and all of my designs possess both quality and efficiency with an incredibly affordable cost. I pay attention to details, and my top priority is to design for what fits my client’s expectations and goals to make their business profit more. Please reply to let me know if you’re interested in rebuilding or redesigning your website. Maybe it’s time for that upgrade you’ve always needed. I look forward to speaking with you soon. I ran some SEO reporting tests on your website, and the results showed there are keywords you’re using that search engines aren’t able to pick up. Your website is most likely losing some points in possibly ranking high on search engine results. This is due to some issues that prevent Google and the other search engines to index your web pages better. For a cheap cost, I’ll fix that for you. If you’re interested, I’ll give you a free consultation and show you how this will be achieved and show you the substantial benefit it can give to your business one you start getting more traffic (therefore generating more sales). I’d really like to help you out on your site, so please write back to inform me about when you’re free for the consultation. Talk to you soon! I’d be happy to give you a free consultation over the phone and hopefully give you a proposal. My rates are cheap, but I deliver high-quality results so that you’ll get the most out of your money. I’ll show you my portfolio, so you will have an idea of what I can accomplish for you. Please write back to me about the best time to give you a call and the best number to contact. I hope to speak with you soon! Are you currently satisfied with the sales you’re able to generate from online? I ran some SEO reporting tests on your website, and the data showed there’s an opportunity to bring in more traffic to your site. This can attract more potential clients as a result. I’ve been an online marketing specialist for almost a decade now, and with my experience in website optimization, I’ll be able to determine the current standing of your business online, and where you can take it further for it to generate more profit. I can give you a free consultation to share some expert advice and run you through the finer details on how your site can meet your business goals. Please write back to let me know if this is something you’d like to look into so that we can schedule a time for a free consultation. I look forward to hearing back from you. A stunning and highly efficient site gives you the edge you’ll need to appeal to more clients and improve your sales. This is something I’d like to talk about with you because my services can give you the site you want/need. I’m a freelance web developer that can do just about anything you can imagine for a cheap price. I’d like to know if there is anything that you’d want to improve, repair, or redesign on your website or if you’d like to build a new site altogether. I can also provide you with a free consultation to let you know what things are possible with a website these days and how much it costs to get what you want. If you’re interested then just let me know the best number to reach you on and I’ll get in touch with you. Talk soon! These are really great ideas in concerning blogging. You have touched some fastidious points here. and actual effort to generate a really good article… but what can I say… I procrastinate a whole lot and never seem to get anything done. I’m a mobile app developer that can design and program on any platform (Android, iOs, etc). If you already have ideas in mind, I’d love to hear about them. I also have ideas of my own that I’d really love to share with you. Most potential clients nowadays are more comfortable doing business with companies whose mobile app does not only have an amazing look and feel, but also has some features that make doing most business processes easier. Different kinds of mobile apps can help your business, whether in terms of marketing, business efficiency, or both. Do you have an app for your business? If you’d like to know more info, I’ll send you my portfolio containing the apps that I’ve made for my other clients, and I’ll also show you data about how the app helps their business. Kindly write back to let me know what you think. I hope to speak with you soon! I’m a freelance web designer who builds stunning and business efficient websites for an affordable cost. Have you considered making any upgrades/changes to your website, or possibly a redesign? All of my clients in the past have been very pleased with the work I accomplished for them, and it gave their business a substantial boost. Please let me know if you’re curious, and I’ll send my portfolio. If you’d like to know more information, I can also schedule a free consultation for you so I can share with you more details about how I can make your website look more appealing and perform better. Kindly write back to let me know when’s the best time for us to talk and I’ll get back to you right away. I hope to speak with you soon. Sѡiss army knives are oof a wide variety. Na uwagę zasługuje atrakcyjna lokalizacja. I’m a digital marketing specialist working from home, and I sent this email to know if you might need some assistance with your website’s overall performance and profitability. I’m an expert in getting websites to the top of web searches. I know search algorithms well enough to know what to do to make your site rank a lot higher. I can guarantee that I’ll do search engine optimization work for you at an affordable price. If this is something you’d like for your business, I can give you a call to give a more detailed explanation of where you’re at right now, what needs to be done, and what you can expect. All of the information I’ll share with you can be helpful whether or not you choose to take advantage my services. Please reply about the best time to give you a call. I look forward to speaking with you soon. Notice: To be removed from any future emails, please just send me an email telling me “no more” and I will remove you from my list. Thanks! Good answers in return of this matter with genuine arguments and explaining all concerning that. I was just checking on your website and noticed its potential to better for your business with the aid of a redesign. It already looks nice, but we can transform it to something stunning and business efficient. Have you thought about doing some improvements on your website or building a brand-new one that has all the modern features and functionality that will help you run the business? For a cheap cost, I can help you in adding a few more helpful elements to make the user experience more comfortable and in making your online content more aesthetically pleasing. I’d also like to know about some ideas that you already might have. I can send you my portfolio and answer all the questions you have and give you the information about this redesign during a free consultation over the phone. Please reply to let me know your preferred contact number and when you’re free to talk. I hope to speak with you soon. It’s essential for any business to be updated with the current trends especially with user-interface design since it can attract more people. I already like the layout you have on your website but there may be a few things that might need a little help. If you’re looking for a more functional and updated look on your site, I’ll assist you with that. One of my key priorities as a freelance web marketer is to make sure that my clients get the most out of their sites in terms of functionality and aesthetics. I’d like to discuss with you some of the ideas I have, and I’d also like to show you my work from previous clients. If this is something you’d like to know more info about, please reply to let me know when you’re free to have a complimentary consultation. Talk to you soon! hello!,I really like your writing very so much! percentage we communicate more approximately your article on AOL? posts. In any case I will be subscribing on your feed and I am hoping you write once more very soon! and will be tweeting this to my followers! Excellent blog and fantastic style and design. be shared around the net. Disgrace on Google for now not positioning this post higher! I really loved the standard information a person supply for your visitors? Is gonna be again steadily to inspect new posts Its like you learn my mind! I’ll definitely be back. Wow! This blog looks exactly like my old one! I sent you this message because I would love to know if you’d be interested in getting more traffic to your site to help boost your sales. I have been an online marketing specialist for more than 12 years now, and my expertise is optimizing the algorithms related to your website so people searching for your products/services online can find you easier. I know how to do this like the back of my hand and I know exactly what to do to make your site rank a lot higher on search engine results (which gets you more traffic/sales opportunities). My services are catered to small businesses, so guaranteed it will be at a cheap price. Please let me know if you’re interested. I’ll give you a free consultation over the phone to show you a few case studies and data about where your business is at right now and where we can take it further. I’m hoping we can work together on your website. I look forward to speaking with you soon! I’m a freelance web designer who’s an expert in renovating and building beautiful and business efficient websites for small businesses. I would like to know if you’d be interested to make some upgrades to your site or to create a brand-new one. I’m an expert with various web platforms and shopping carts, and I specialize in the WordPress website platform. I can improve your current website or build you a brand-new one that has all the modern features and functionality that suit your business needs. My services come at an incredibly cheap cost, and I also guarantee you that all the work will be done locally (never outsourced). Do you have some free time in the next few days for a quick consultation over the phone? I will be able to give you some ideas, get your feedback, and give you a proposal. I would really like to be of assistance with you on your website. Please write back to notify me if you’re interested to know more about my design services. Talk to you soon! Hi there, I discovered your website by way of Google even as looking for a similar matter, your site got here up, it appears to be like great. this actual put up amazing. Excellent job! Wow, superb blog layout! How lengthy hav you been running a blog for? glance of your web site is fantastic, aas werll as the content material! Hi to every one, the contents existing at this site are iin fact awesome for people knowledge, well, keep up the gookd work fellows. I wanted to know if you’ve been seeking professional assistance in increasing the number of visits you’re getting on your site. I’m a freelance online marketer who specializes in getting websites to rank at the top of Google search results and other search engines. If you’d like to view the data about your website’s potential, I can give you a free consultation to show you where you’re at now, what needs to be done, and where the optimization can take your business further. I’ll also show you some case studies of companies I’ve worked with, so you’ll have an idea of how your business can profit more once your website gets optimized. My services are cheaper than you may think. If you’d like to speak and we can schedule the consultation over the phone. I hope to speak with you soon. for people with herpes dating sites for people with herpes genital herpes dating sites herpes support groups. Ob Hotelreinigung, Baustellenreinigung, Ferienhaus – und Grundreinigung, in jedem Bereich führen wir mit größter Sorgfalt und Kompetenz aus. Themen des Arbeitsschutzes sind komprimiert dargestellt. Eine Top Sauberkeit führt zu zufriedenen Gästen, guten Bewertungen und Weiterempfehlungen. Denn die Erstpflege von z.B. Fußbodenbelägen, Fenster und Fensterrahmen, sowie Sanitäranlagen muss erstklassig ausgeführt werden. Hi friends, nice paragraph and fastidious arguments commented at this place, I am truly enjoying by these. I’d like to know if you’re interested to make any upgrades or changes on your site to help your business grow. I thought I’d give your company a shot and show you more about what I get accomplished for you. I’m a freelance web designer who helps small businesses rebuild/redesign their websites for a cheap cost. I’m an expert in WordPress and various other website platforms/shopping carts, etc. I’ll also send my portfolio of my designs for other clients and their websites. I’m capable of all the programming and design work by myself freelance and I never outsource. Kindly reply to let me know if you’re interested and hopefully we can schedule a free consultation. Talk to you soon! I’ve joined your rss feed and sit up for seeking extra of your great post.